International Investment Bank (IIB), a Bahrain-based Islamic investment bank, announced its flagship project in Sarajevo, the capital of Bosnia and Herzegovina, has signed a memorandum of understanding (MoU) with Starwood Hotels and Resorts. Sarajevo City Centre (SCC), a mixed-use real estate development, is a partnership between IIB and Al Shiddi Group, a Saudi-based business group. The main building of the SCC project is a shopping mall and an entertainment complex encompassing five levels that cover an area of 46,000 square metres. The mall is over 85 percent leased and the 17-storey, 8,600 square metre commercial tower is due for completion in Q2 2015. 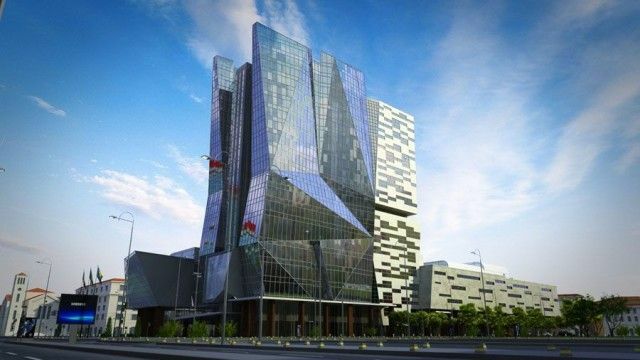 IIB CEO Aabed Al Zeera added: “The project is one of the largest in the Balkan region, and has a fantastic futuristic design which is perfect to house the Westin 5-star property. The MoU pertains to the project’s second tower, which houses a five-star hotel with 227 rooms covering more than 20,000sqm. The hotel is to be a Westin property, managed according to Sharia, and is scheduled for opening in the first quarter next year.